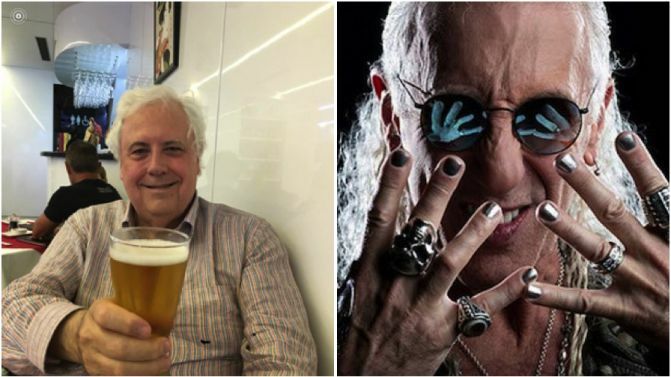 Another chapter has been added to the seemingly never-ending saga between Twisted Sister frontman Dee Snider and Australian rich person Clive Palmer, as now Universal Music are getting involved and are suing Palmer. In case you haven’t heard, Palmer was accused by Snider of ripping off Twisted Sister track ‘We’re Not Gonne Take It’ and using it for a commercial campaign. Snider has been incredibly vocal about the situation, calling out Palmer repeatedly and even taking him to task like on the Today show. Universal Music have now stepped in, and are taking legal action against Palmer for the song’s rework. Universal acquired publishing rights to the song in 2015, and filed copyright infringement proceedings against Palmer in the Federal Court in Sydney on Wednesday, 6th February. According to Sydney Morning Herald, the hearing for the dispute will be heard in front of Justice Alan Robertson on Wednesday, 6th March.